Book your conference with us and you and your company receive genuine dedication where service and tailored solutions are key elements. As our guest you have full access to the castle if you so wish and - most importantly of all - our full attention. We boast 3 conference facilities and 27 bedrooms. In addition, smaller rooms for group work or other activities. PC projector, wireless network, TV etc are available at request. 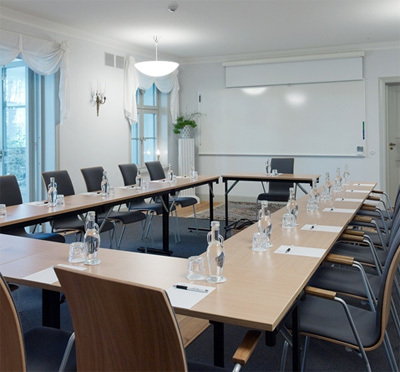 Sjöverandan is an extra room which is included when booking the wing Carolus, perfect for coffee breaks, group work or pre-drinks before dinner. 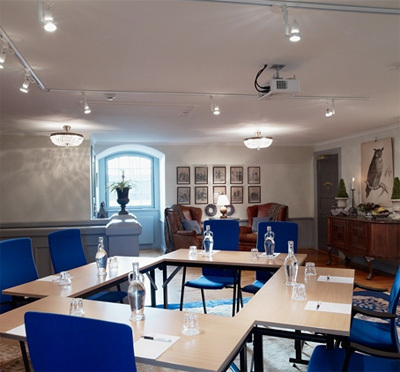 Noors Slott offers peace and quiet but also vast possibilities for an active conference. A pleasant afternoon spent cooking together with our head chef is a delightful experience. Why not try our beverage walk in the alluring surroundings where you taste various drinks and are quizzed on food and drink? With a close collaboration with event organisers, we can offer tailored activities and experiences for our guests. Have you been to Noors Slott and want to give your own comments?